With the beautiful and magical Pancaran River at the bottom of the garden, this charming villa is hiddel away from all noise and traffic. Regarded as a boutique hotel, it has four master bedrooms across three different buildings to ensure complete privacy. 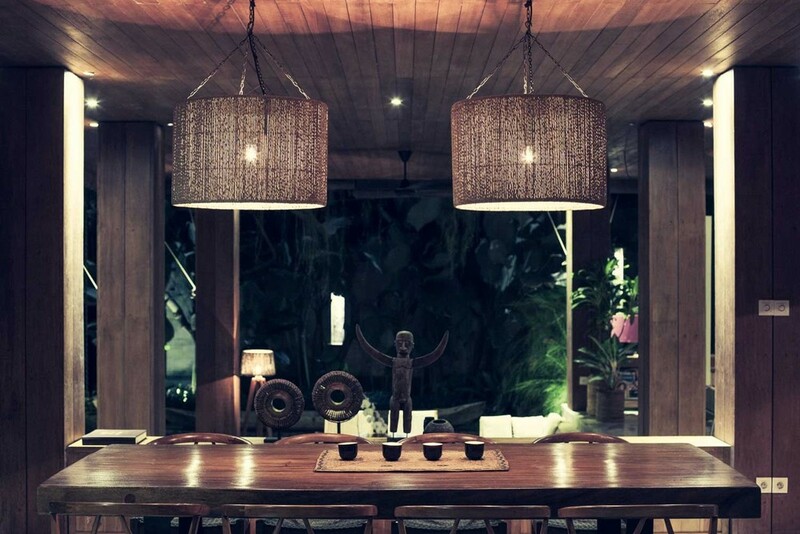 The villa is perfectly situated in the quiet and beautiful beach village of Canggu. Red Door Bali luxury villa makes for an unforgettable Bali escape vacation with family, friends or that special one you love. 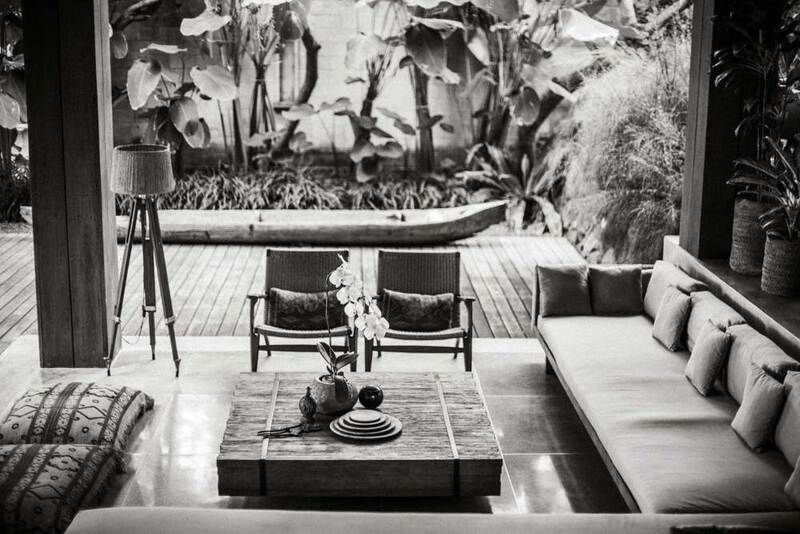 The stunning 2000 square metre space is both contemporary and organic in style, decorated with a mix of traditional and modern design pieces for an authentic space with un-interrupted views of the tranquil surroundings. Created by award-winning designer, George Gorrow, the RedDoor Bali villa is one of the most private and luxurious in the area Each element values open space and the beauty of nature in the comfortable yet lavish setting. A strong focus on design with 20th century modern furniture puts this rental in a league of it’s own. This Bali luxury villa is impeccably finished with sustainable timber and all overlook the 70 square metres of riverfront. The infinity pool gazes out over the waterfall, rice paddies and is the perfect spot to watch the spectacular sunset. The two single-storey villas each host a luxurious bedroom with en-suite, more spacious then any other Bali resort or hotel in Bali.